SR 56 thru Rising Sun,SR 156 along Ohio River,rt. Goose Creek Rd. before Patriot,lt. Bodey Hill, to home. COUNTRY GETAWAY! Extremely private home on 14 + beautifully manicured acres! Spacious 4BR, 2.5BA, lg. kit. w/island, skylight, remodeled baths, custom hdflrs. thru-out, screened in porch, 24x30 det. Gar. w/conc flrs&elec., 3-outbldgs. 14x10, 10x9, 10x20), 100 yd. 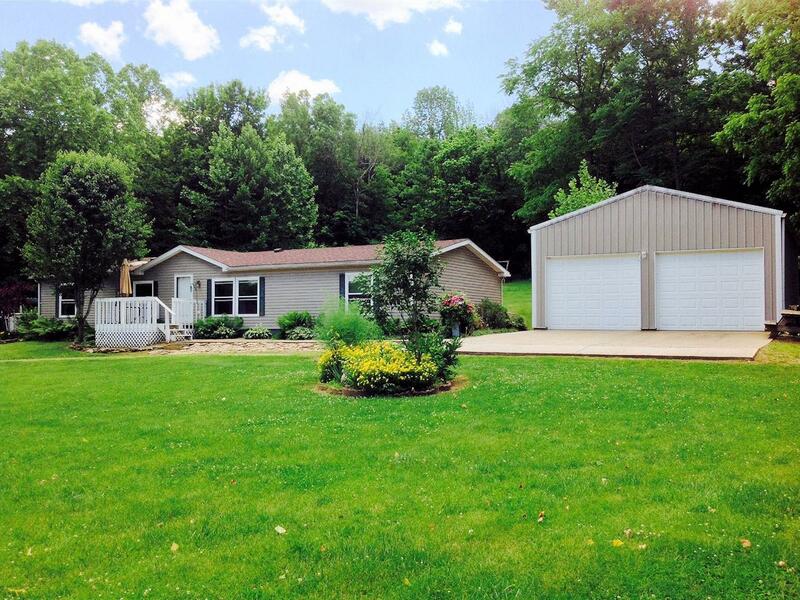 shooting range, pool, neatly landscaped, creek, woods, valley views, wildlife & more!